Surgical dental extractions are performed when a tooth needs to be pulled out of its dental socket located in the jaw bone. Dental extractions are necessary in a number of cases but most commonly the procedure is performed when a damaged tooth can no longer be repaired and needs to be removed altogether. 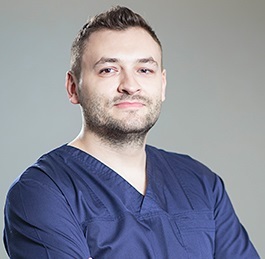 Our dentists in Romania specialise in oral and maxillofacial surgery and can help you with any dental issue that requires surgical intervention. - for cosmetic purposes if the tooth cannot be restored using normal cosmetic dentistry procedures, etc. Following a complete examination, our dentists in Romania are able to assess if an affected tooth needs to be removed or of it can be saved and restored using different methods. Various dental treatments are available throughout our offices at very affordable prices. Dental extractions can be categorised as simple extractions or surgical extractions. Simple dental extractions are performed using only a local anaesthetic and are performed on teeth that are visible. 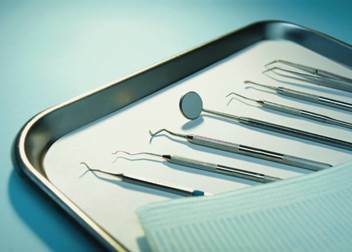 The dentist will use certain instruments to lift the tooth and complete the procedure. Surgical dental extractions are needed when the tooth is not easily accessible and the dentist needs to perform an incision. A general anaesthetic is commonly used for surgical extractions. After the removal of one or more teeth, our dentist can provide a complete dental treatment plan for the post-extraction healing. The patient may need to take antibiotics, if so prescribed by the dentist, to reduce the chance of infection. Swelling is common after a surgical procedure and pain medication can be used to relieve the discomfort. Our Romanian dentists can offer you various replacement options for missing teeth, including high quality dental implants. 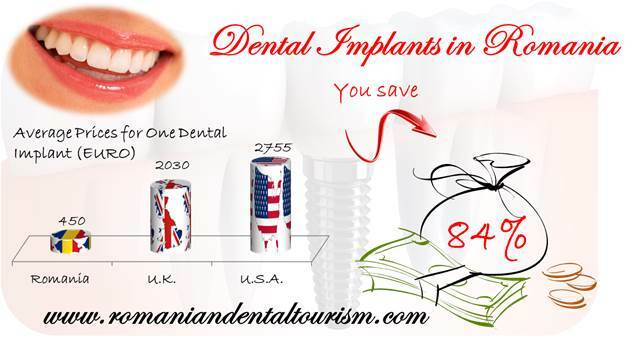 Please contact our dentists for a complete offer and a personalised dental tourism package in Romania, according to your specific needs. You can now combine dental treatments with visiting important landmarks in our beautiful Carpathian country.